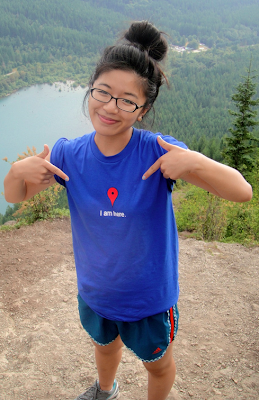 For our today's post, meet Molly Long, an intern on the Maps Streetview team. She’s a junior at Brown university studying computer Science and is passionate about food, tech and fashion. 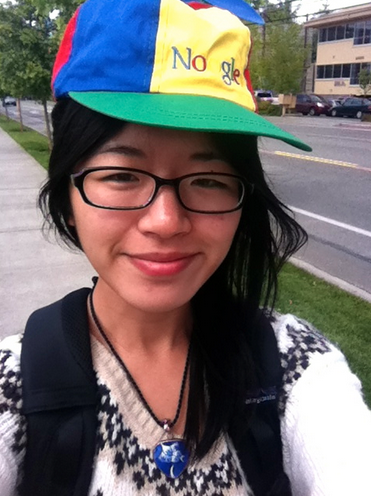 Two summers ago, I participated in the Google Computer Science Summer Institute (CSSI) in Mountain View, CA. During those 3 weeks of learning, coding, and bonding with the other students and Googlers, I fell in love! I loved the relaxed environment that encouraged innovation in products that I am so passionate about, and use in my day-to-day life. After that summer, I vowed to return and here I am, back as an intern in the Seattle office working on the coolest project ever -- Maps Streetview! Google has taught me about the complexity and sheer size of software engineering which is hard to imagine while in school. For my project, I built out a feature that enables 3D photo interaction inside Google Maps Streetview. 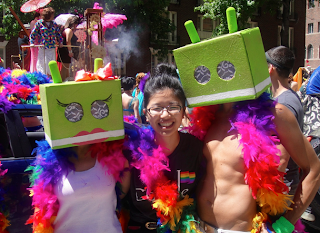 I felt like a real engineer while I was here at Google and what I did mattered; I know that millions of users will explore and interact with the feature I built, making it my unique mark on Google. I’m super involved with the computer science department at Brown U. Not only have I TA’ed for 3 computer science classes, I’m also one of the coordinators for Women in Computer Science at Brown, where I help plan small-group to department-wide events. In my spare time, I’ve also volunteered with Bootstrap, an organization that teaches middle school students math concepts through computer science. Additionally, I’ve also worked with the Swearer Center at my school teaching elementary school students math. Volunteering has definitely been one of the most rewarding experiences so far at Brown-- it has challenged me to explain concepts in an easy-to-understand manner while still making math enjoyable. And when I’m not busy, you’ll see me munching-- I’m an avid foodie! You’ll see me often at the microkitchens at Google deciding which snack I want to devour next. First - Don’t be afraid to ask! Ask questions, ask for feedback, and share with the people around you your goals and ambitions so that they can help you achieve them. Second - Network! Capitalize on the fact that everyone, literally everyone, around you is super smart so take a break, and grab lunch with the people around you! Theo’s dark chocolate (a specialty in Seattle) is my guilty pleasure. Interested in learning more about our internship opportunities? Please visit our student jobs site and apply today!